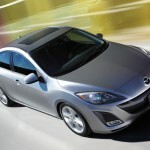 Mazda has chosen the Auto Salon in Los Angeles for this new generation of the Mazda3 model, the Berlin version. The new generation, known in Japan as the Axela, presents a completely new design from the version released after five years and illustrates the evolution of the spirit of “Zoom-Zoom”. The Japanese have “borrowed” for the Mazda3 line design of the new Mazda6 and the car looks very good. He has more personality, more aggressive, and the manufacturer promises to be better worked and more dynamic. Class compact model is very important for people to Mazda. 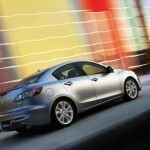 Since 2003 have sold over 1.8 million units of the Mazda3 model in the world (first generation). 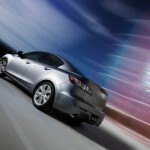 Moreover, the model represents approximately one third of Mazda vehicles sold globally each year.